This book is a first-class business history, the story of great fortunes made by the most notable men of wealth in history: Jacob Fugger, John Law, Nathan Rothschild, Thomas Gresham, Robert Owen, Cornelius Vanderbilt, and all the way through J.P. Morgan and J.D. Rockefeller. 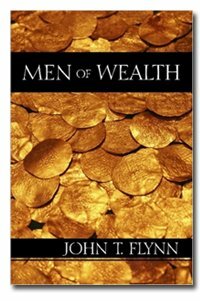 The author understands economics and the state, so he has a special eye for ferreting out the difference between market means and unjust means of acquiring wealth. The stories are all fascinating and the prose is impeccable. Representative Men includes seven lectures on great men -- Plato, Swedenborg, Montaige, Shakespeare, Napoleon, and Goethe. If the companions of our childhood should turn out to be heroes, and their condition regal, it would not surprise us. The book comprised Nellie Bly's reportage for the New York World in 1887 while on an undercover assignment in which she feigned insanity to investigate reports of brutality and neglect at the Women's Lunatic Asylum on Blackwell's Island. The body of a well-dressed young man was found off Manhattan Beach, Sept. 28th. In his pockets a torn photograph of Strindberg and receipts for three registered letters were found. These receipts were traced to Mr. Herts and to friends in Toronto. This is a biographical sketch of the great Cremonese master, expressed in a manner interesting and instructive as possible. The author abstained from using technical terms not readily comprehended by a reader coming newly to the subject.